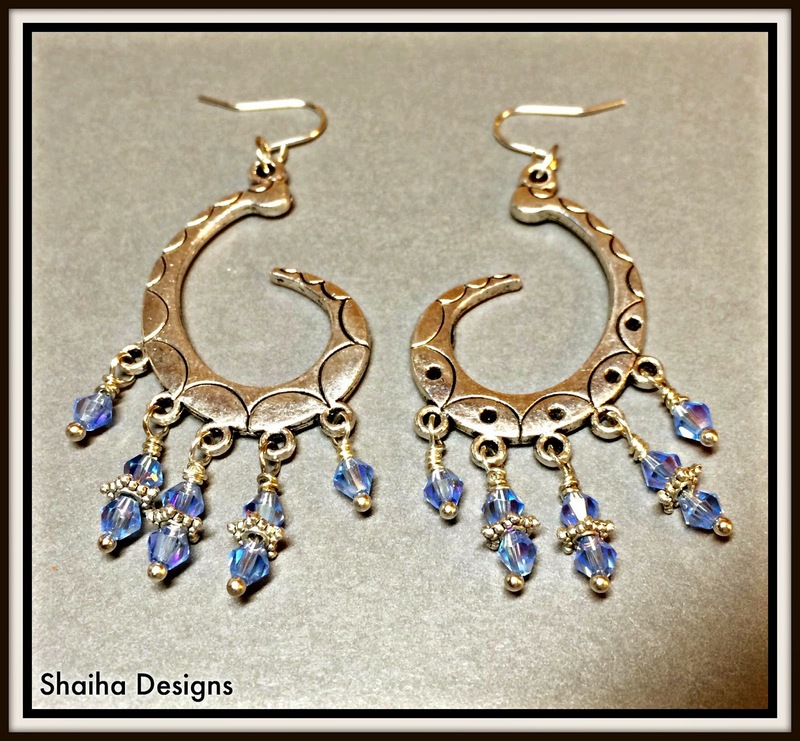 Shaiha's Ramblings: Earrings & more earrings! I don't know what it is but earrings are definitely my nemesis. When I lay out beads to make some pairs what comes to mind are ideas for necklace and/or bracelets. Sigh. 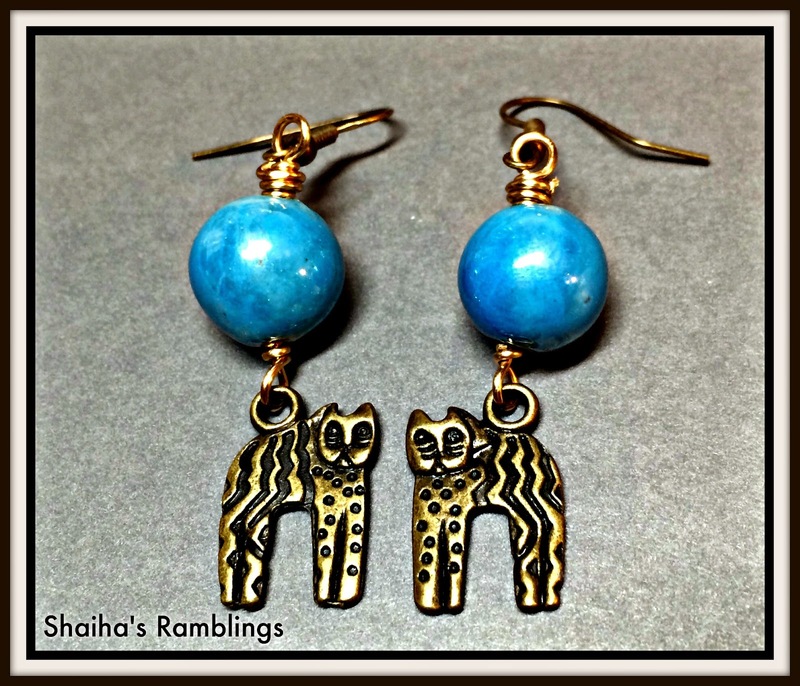 That being said, I did make up a few pairs on Sunday for Ears To You that I wanted to share. 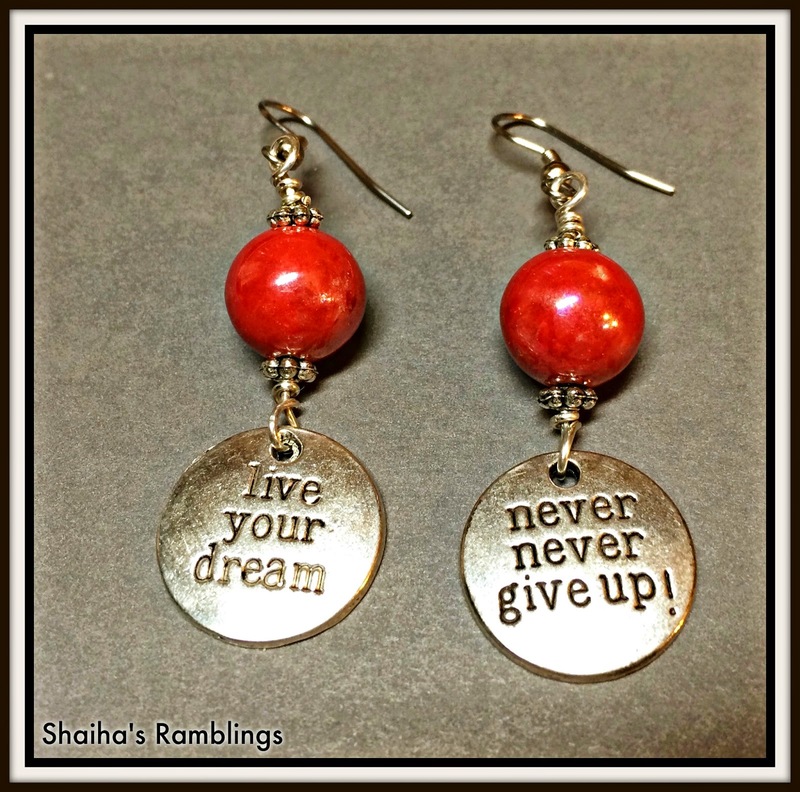 Great job Shai, The first pair is my favorite. 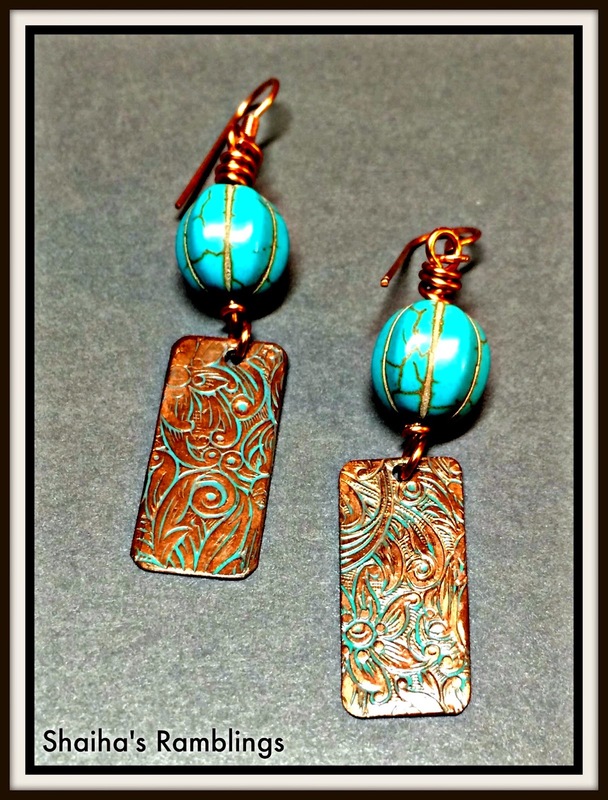 What can I say theu are turquoise in color and the copper accents them well.